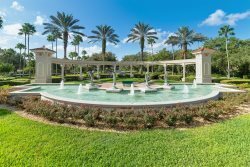 Disney Area Vacation Rentals - Luxury, Family Friendly & More! Our properties that are located near the most popular theme-parks in Florida! Spacious 3 Bedroom Deluxe Condo Near Disney World High Floor! Tranquil Florida Escape - Extended Pool Deck over Conservation Views - Near Disney! Tropical 5 Bedroom Haven in Stunning Solterra Resort! Serene 5 Bedroom Escape in Stunning Solterra Resort! Orange Grove Retreat - Solar Heating Included! Peaceful 5 Bedroom Pool Home with Space for the Whole Family! Floridian Paradise - 5 Bedroom Pool Home, great for families! Cozy 4 Bedroom Pool Home located in stunning Westridge! Spacious 4 Bedroom Family Home with Pool!